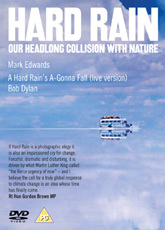 The Hard Rain film was launched on DVD at the opening of the Hard Rain exhibition in Copenhagen on 6 December 2009 – the eve of the much heralded COP 15 United Nations Climate Conference, which completely failed on its promise to deliver a meaningful post-Kyoto global climate agreement. The film opens with a rare live version of Bob Dylan performing "A Hard Rain’s A-Gonna Fall" at Carnegie Hall, New York. Photographs from around the world illustrate every line of Bob Dylan’s prophetic song (see video clip above), setting the scene louis vuitton replica handbags for a moving and unforgettable exploration of the state of our planet and its people at this critical time. The film is accompanied by a booklet containing a specially commissioned essay by Lloyd Timberlake. The Urgency of Now cuts through the muddled thinking and failed policies that have delayed a radically new worldwide approach to climate change, the wasteful use of resources, poverty, habitat loss and species extinction.